Triple Black is often one of the most revered aesthetics in all of basketball sneakers. Its neutral color scheme allows for hoopers the world over to wear their favorite shoes while not aligning with a particular team or franchise. For the upcoming 2018-19 campaign, Nike is set to release a nearly tonal “Twilight Pulse” variety of the KD 11. 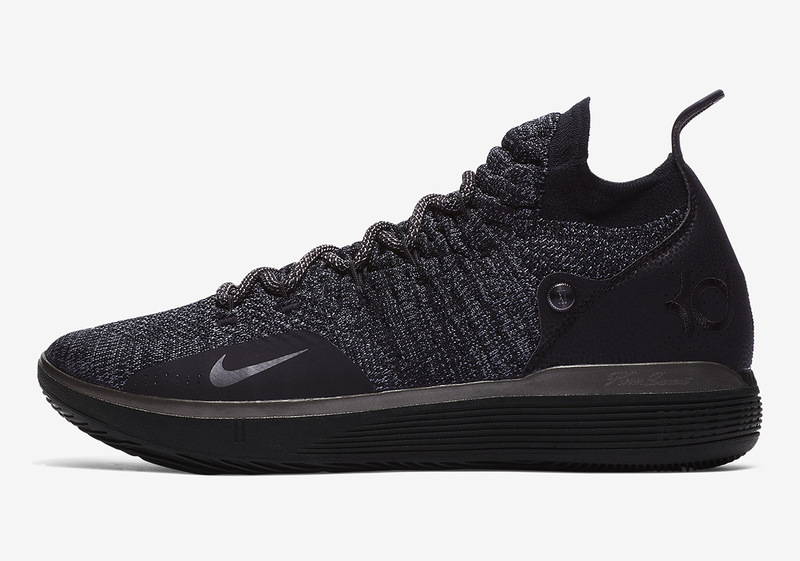 White gets subtly mixed into its woven upper for contrast, while an otherwise blacked out look dominates this particular offering. Spotted leather adorns its heel cap for a quick premium touch, while Durant’s signature takes shape on both heels in a regal gold hue. Check out an official set of mages for the newest KD 11 below and look forward to its arrival on Nike.com and at other stockists on 10/1.